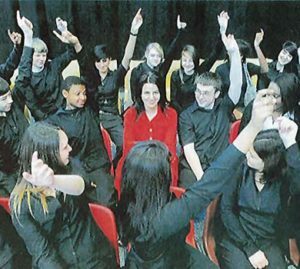 On the 17th February Kavita visited Sinfin Community School to offer her story to the school’s Year 10 pupils, to motivate students through their GCSE’s and inspire them to go forward in whichever route they take. Kavita’s speech on Monday was very well received as she captured the attention of the entire hall, with her warm personality and inspiring story. ‘No matter how many obstacles are faced in life, it is important to persevere and to not give up. “Life does not always follow an easy path, but with a lot of hard work and determination you can achieve anything. “The only barrier to achievement is with one’s self, so get out there and fight for your dreams’.